VERT was incorporated on July 19, 2006. Throughout the last 8 years the company has remained focussed on planning, designing and, increasingly, building the most resource efficient homes possible. VERT has helped more than 60 clients create better living places. We are especially proud of the projects that serve as regional and national models of interest to the net zero energy home building community. 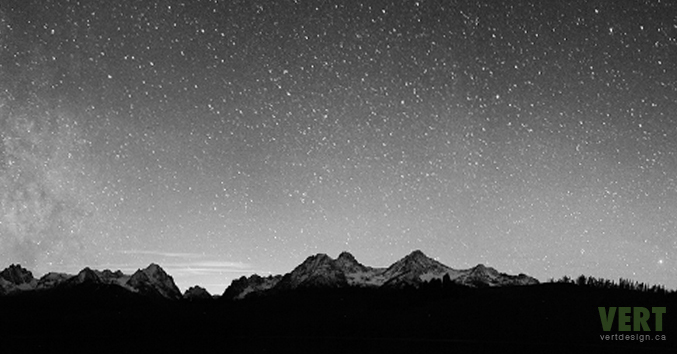 Although our clients usually start projects reaching for the stars, constraints related to time and money often allow us to only reach the mountains tops. VERT works to plan, design and build homes that balance aesthetic and functional objectives; that is, the elements of a building that are typically hidden behind the surfaces the market still appreciates more (e.g., quartz counter tops, solid site-finished hardwood flooring, frameless glass guards around self-supporting open riser stairs). These functional elements (e.g., insulation levels, air tight building envelopes, mechanical electrical and plumbing systems) should not be compromised. Unfortunately the building codes do not reflect our understanding of the importance of building using simple techniques that ensure a structure’s long term durability and affordability. Since the government is not moving quickly enough to protect us from ourselves, VERT commonly incorporates details into its buildings to address issues that may be a decade or more from being legislated. 5. cost less than $200 per square foot to build. As I look toward VERT’s 10th birthday in 2016 I see exciting opportunities for the growing segment of the market that is now searching unsucessfully for a home or a home plan-design-build experience of the kind we can provide.